PARKING: Lots 74A & 82. No permit needed for conference attendees. Eventbrite purchases: $80-$95. Use above button. Personal checks: Download our form below and send payment directly to us at AATSP-NJ. Please note that registration will not be confirmed until payment is received. 7-10 days after we receive payment your receipt will be sent via email. Follow all instructions on form carefully. $80 members if received by 4/4/2019. Sorry, no purchase orders accepted for this event. Includes continental breakfast and a luncheon buffet. All payments must be received by 4/15/19. NOTE: NO on-site registration this year. This event is strictly limited to 100 participants. Our attendees have access to the back patio and the historic Arbor Trail. The Conference Dining Room has vaulted ceilings and floor to ceiling windows on two sides with views. Have a friend who is not a member sign up for our Congreso Primaveral. If they join our chapter and get your free AATSP membership renewal for calendar year 2020! Have a friend who is a member sign up for our Congreso Primaveral and we put you in a lottery for free membership and if one of you wins you both get free memberships for 2020! Registration Form for personal checks only to be mailed directly to us. ALL credit card orders to be completed using the Eventbrite orange button above. Millennials and Gen Z: Why can't they be like we were? What comes to mind when you hear “Millennial” or “Gen Z?” We all know that they get a bad rap. Let's take a look at how the Baby Boomers engaged with Gen X (33-53) and how it compares to our opinion of Millennials (23-32) and Gen Zers (0-22) today. Millennials and Gen Zers want to know the value and use of what they are learning. How do we approach teaching languages to these generations and understand all they have to offer? Transparency is important to our Millennial and Gen Z students. As we move them toward higher levels of language proficiency we need to make it our goal for them to understand why they are learning another language, how to learn it, and what they will do with it. We will dive into task-based activities, motivation, feedback and student empowerment through choice. These topics will give you actionable tips and tools for the classroom so that your students move toward language proficiency while using the skills unique to their generation. 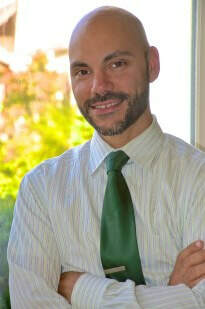 ​Joshua Cabral has an MA in Applied Linguistics, specializing in psycholinguistics and second language acquisition. He has been teaching French and Spanish at the elementary, middle and high school levels for 22 years. In addition to teaching at Brookwood School in Manchester, MA he regularly presents workshops on language proficiency and cultural competence at state, regional and national conferences. Joshua particularly enjoys working with schools and districts as they work toward building proficiency-based language programs. He is passionate about access to education in developing countries as well and works closely with schools in Haiti and Nicaragua where he often travels to work with teachers and students. ​In today's workshop, Doug will share advice on cultivating a classroom environment where both instructor and students meet ACTFL's standard of 90 percent target language use. Within that critical topic, we'll explore two particular challenges: building teacher-student bonds in L2 and persuading students to avoid L1. ​Doug Crouse currently teaches French and previously taught Spanish in Sparta Township School District, which named him Teacher of the Year in 2013. Doug also teaches methods of world language instruction and theories of second language acquisition at Rutgers University. A full-time board member of Foreign Language Educators of New Jersey (FLENJ), Doug co-founded and continues to coordinate the statewide Mentoring Fellowship program. In 2013, Doug was named a Mead Leadership Fellow by the Northeast Conference on the Teaching of Foreign Languages and has since mentored other Mead Fellows. Doug worked formerly as a journalist, with assignments taking him to Panama, Mexico and Colombia. Since becoming a full-time teacher, Doug has written more than a dozen feature articles for The Language Educator magazine, published by ACTFL. His previous workshop topics have included providing effective learner feedback and tracking proficiency growth. 8:45AM Keynote: Millennials and Gen Z: Why Can't They Be Like We Were?